An extraordinary deuce court player with uncanny instincts and a sturdy disposition, Margaret Osborne duPont ranks right up there in the upper crust of women’s doubles players. 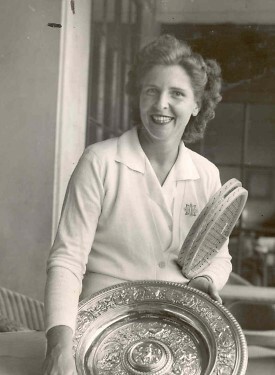 She took 31 majors in women’s and mixed doubles between 1941 and 1960. She was so accomplished in doubles that too many overlooked her capacity to play top notch singles, yet she garnered six Grand Slam championships on her own. Osborne duPont was an exemplary sportswoman with a knack for handling tense moments with extraordinary poise.